Hardworking and unsung… until now :). 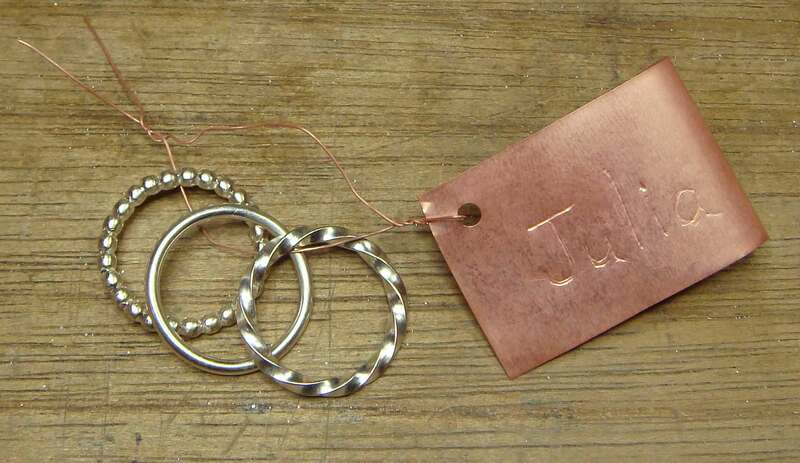 In a couple of weeks, I’ll be teaching another silver stack rings class, so I made pickle tags for my students. Nothing fancy, but SO useful (like that horseshoe nail in the adage). If you need to pickle a bunch of similar but not interchangeable objects (like rings or bezels in a class), then a handful of pickle tags will be just the ticket to keep everything orderly and save you from tears and tearing your hair. You don’t need much to make them. 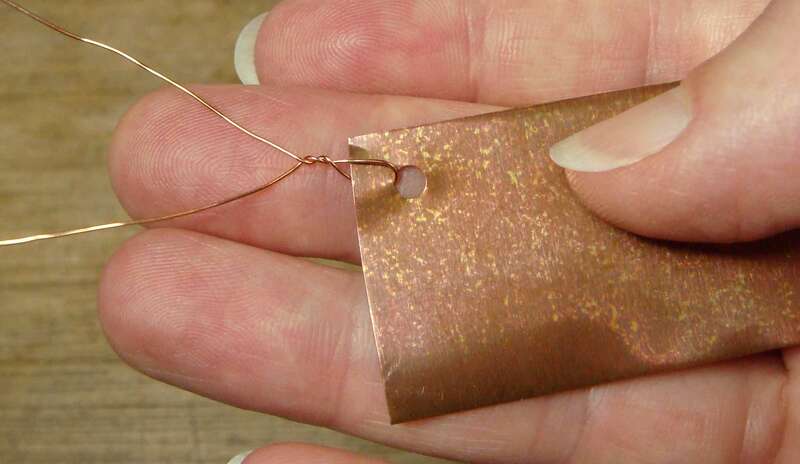 Proof that my copper sheet is 36 ga.
Cut a handful of tags with scissors out of the thin copper sheet. Save the little copper circles you punch out. You are bound to find an interesting use for them later. Punch a hole in one corner of each tag. Cut a piece of wire with your wire cutters (NOT scissors, even though they are right there handy on the bench…). Bend the wire loosely in half, thread it through the hole and twist it a couple of times to secure it to the tag. Finally! A reason to keep a dried up ball point pen handy ;). 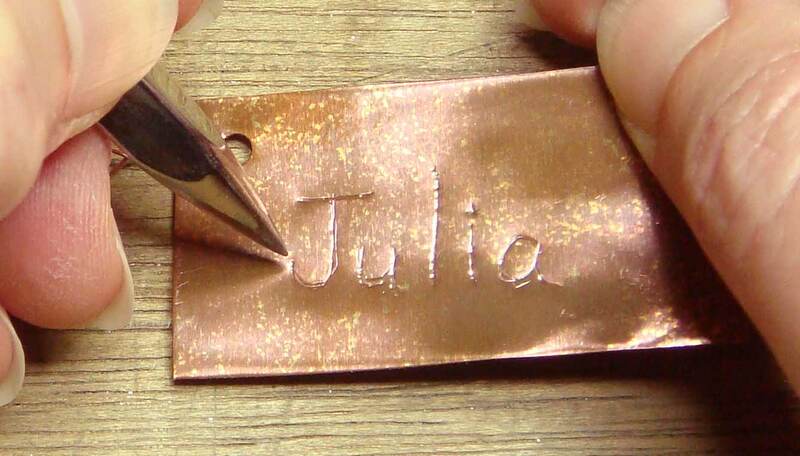 Use a scribe or ball point pen to write on the tag. If you are trying to keep a bunch of bezels straight, you might write the name and size of the stone. For the stack rings class, I have the students put names on their tags. You can leave the tag flat, but it will be easier to fish it out of the pickle pot if you bend it a bit to lift it up and offer purchase to the pickle tongs. Finally, attach the tag to the item(s) that need(s) pickling and toss the whole apparatus into the pickle pot. By “toss” of course I mean “place-gently-so-as-not-to-splash-pickle-on-your-self-and-make-holes-in-your-clothes”. 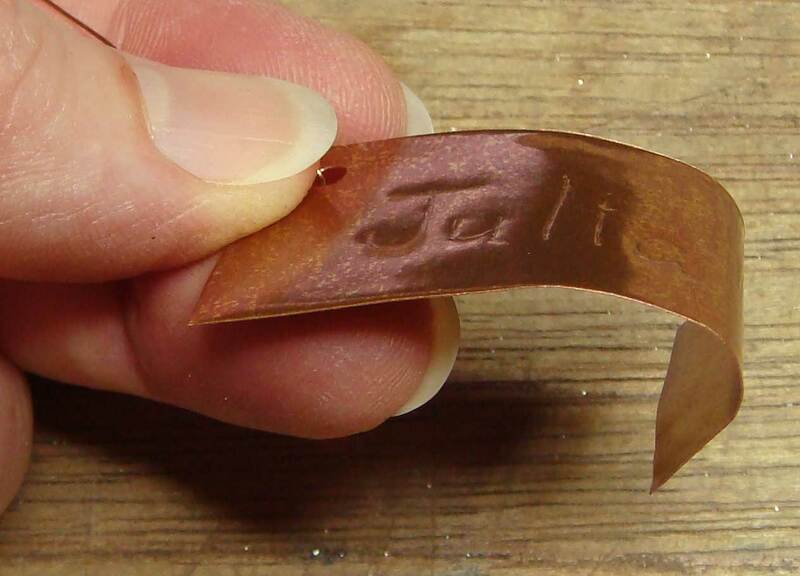 The tags can be reused by burnishing the information on them flat, annealing them, and re-writing on them. And, yeah, that’s it, that’s the ticket :)! P.S. Since I’ve mentioned teaching in this post, I have to say that I am SO excited to be going back to teach at magical MISSA (Metchosin International Summer School of the Arts) again this summer! Registration opens TOMORROW (Feb.1, 2015), when you’ll be able to see and sign up for not one, not two, but three classes that the MISSA board has wisely engaged me to teach. Fabulously fun as my classes always are (I always get the best students! ), there are also myriad other wonderful teachers, and I have made some fast friends among both colleagues and students over the many years that MISSA has been in my life. The environs are stunning, the food and company are great, and the Canadian dollar is at 80% of the US dollar, so all you folks in the US hungering for educational enrichment will get even more bang for your buck! 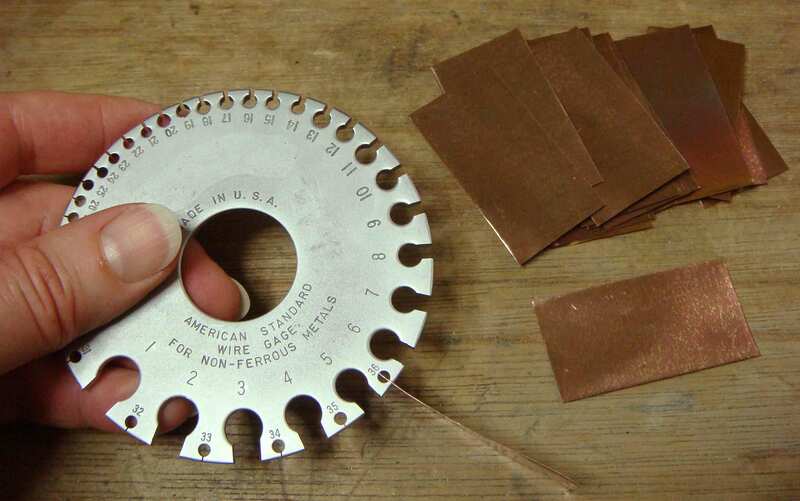 This entry was posted in Get the Most from Your Tools and tagged bezels, copper, pickle, rings, tags, tools. Bookmark the permalink.